At Franklin Fence and Deck, our Brentwood customers are our priority; we approach every fencing project with professionalism and a commitment to excellence. 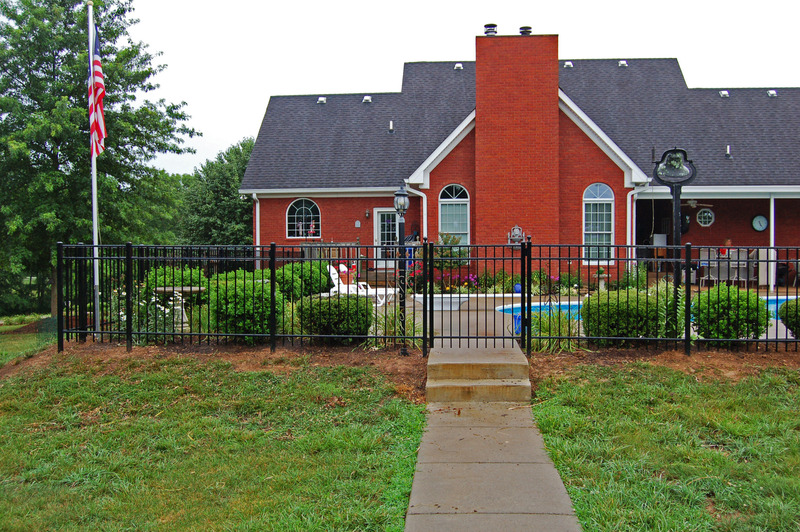 Serving as the premier fence company in Brentwood for nearly three decades, we provide fencing solutions that exceed your standards. Service and quality are top priorities, “We treat others as we would like to be treated.” It is this philosophy that defines our attitude toward accountability and completing fence and deck construction projects that we are proud to add to our extensive portfolio of work. Residents and business owners in Brentwood can rely on our dedication and reputation when considering a fencing project. Aluminum fencing is one of our areas of expertise; we also offer fencing options that include: Custom wood, vinyl, chain link, farm fencing, wrought iron, and commercial fencing. Our services extend beyond fencing to the construction of custom decks, arbors, gazebos, and even screened porches. Your outdoor construction project ideas can quickly become a reality when working with Franklin Fence and Deck. Fences can serve a variety of purposes. Our goal is to assist you in selecting the best solution for your project. You may want to secure your property or enhance curb appeal, whichever route you are taking; our job is to guide you from concept to the completion of construction. We use the first-rate materials for all construction projects. When combined with the superior craftsmanship of the team at Franklin Fence and Deck, you will have a finished project that rises above the offerings of our competition. Our Williamson County clients have been consistently impressed with our work and have recommended us to friends and family for a variety of deck projects and fences in Brentwood. Your project is our top priority; your satisfaction is the best reward for a job well done. We have remained a leader in fencing construction for close to thirty years largely in part to our dedication to our customers. If you are considering a fence or deck construction project, have ideas or are looking for a knowledgeable and trusted Brentwood fence contractor, give us a call.